LynchyRightNow: I moved all in . . .
College hoops, over. Sox v. Yanks duel to open, over. With the NFL draft still weeks away, April 8th, 9th, 10th, and 11th was left to showcase just one small thing the sports world refers to as The Masters, a tradition like no other. As the sports universe descends on Augusta this weekend, with the 2010 edition adding a slightly more intriguing story line, both golf loyalists and the general public have caught links fever. For me, excused from my paying job early on Thursday and an impromptu day off on Friday, I've moved all in on this weekend. If you weren't glued to your television this Saturday and this afternoon , don't be surprised if your left in the dark on Monday morning. These are my Masters(ful) reactions through 3 days . . .
1. 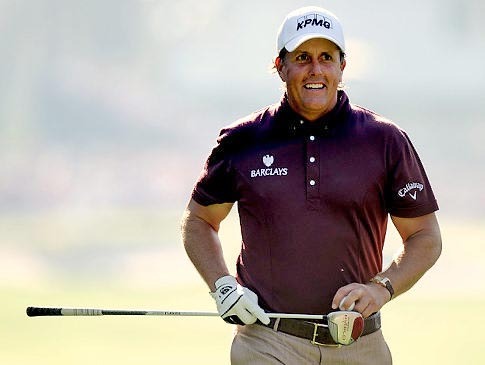 Phil Mickelson is becoming the people's champion. Before your eyes, in full benefit of the Tiger backlash, Phil Mickelson is becoming America's favorite, from the punchline to the headline. A wife stricken with cancer, a family man in every sense, when 'Lefty' sunk two straight eagles followed by a near third, I noticed it. America has replaced Tiger Woods in the blink of an eye, Phil Mickelson is not only who your wife will begin to root for, he is becoming who you will root for, if your not already. If Phil completes his fantastic four day stretch at Augusta and earns his third Green Jacket he'll also take a ton of new fans along the way. 2. Love the golf fans, Love 'em. They don't need chants to keep them occupied. They don't play favorites. They have short memories. All in all, they just love good golf! Rarely are you going to get the bonehead in front of you making himself the attraction. Not going to hear cowbells, horns, booing, none of that. You will hear massive applause for every good shot, you will hear the crowd come together and roar along the athletes, they can become part of the atmosphere in a positive way. As you watch champions move toward the final holes, they surround the player and carry them above course. You know what? I'm positive I wouldn't have a problem being considered a golf fan, not at all. 3. Don't need Tiger to lose his fire on the course, nope. Do you think it's easy recovering from 5 bogeys while you hear the crowd roaring to the tune of Phil Mickelson's near three straight eagles? Do you think it's easy to sink 7 birdie's to give yourself a chance in response? Last question, do you think any of that is possible without demanding perfection, any way you can, from yourself? Sure, you may not need to lace up your self deprecating rants with curse words, but if you want to build a fire inside you which allows you to storm back and win Major Championships, go right ahead, I'm all for it. It's that same fire which has pushed Woods toward record holders like Nicklaus and Palmer. It's the same fire which has given us fist pumping celebrations and one-legged tournament victories. So Tiger, we don't need the cursing, but if you can't be you without it, go right the f*ck ahead. 4. 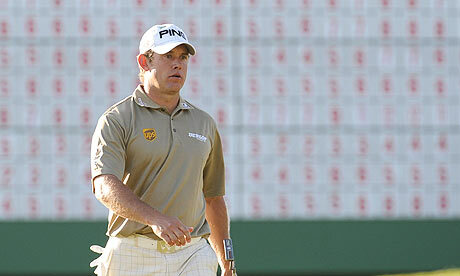 Are we going to want Lee Westwood to win this thing? Yes, Americans play favorites with their athletes. Especially when it's on their own soil. Not to many American golf fans are going to be pulling for Lee Westwood, an Englishman, on Sunday afternoon, it just won't happen. I can't blame them, I'm one of them. Mickelson or Woods, that's what we want, Lee Westwood can provide us with a villain of sorts on Sunday afternoon, that's all. His three magnificent days at Augusta have been filled with highs for this 36-year old 4th ranked golfer in the world. Three rounds of under 70 play, (67, 69, 68) and still not many think Westwood will win his first major this afternoon. With the two of the world's top three ranked golfers within striking distance, Westwood will have to play the best round of his life to lock down a Green Jacket. Not many at Augusta will be pulling for him, making it all the more special if he does. 5. 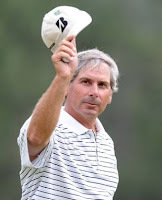 This weekend, I admire Fred Couples even more. 50-year old Fred Couples shot a mind boggling 66 on Day 1 and rebounded from his Day 2 75 to complete a Day 3 68 round. Now sitting just 5 strokes off the lead hours before he tees off Fred Couples has become iconic at Augusta. The 1992 Masters Champion has done what most likely no other 50-year old could do, compete among the worlds elite and hang with them. A 36-year old Lee Westwood, a 39-year old Phil Mickelson, and a 34-year old Tiger Woods, all unable to pull away from Fred Couples a 50 year old man. His eagle on 15 kept Couples alive for Sunday, and some 18 years after he pulled on his Green Jacket, he could be in line to put on his second, an amazing feet for any golfer let alone one past his prime, wearing some of the oddest shoes to boot. Prior to this weekend, I wasn't fully on board with any golf tournament, let alone one as stuffy as The Masters, but as the general public so often does, I joined with an interesting subplot. At the end of today we'll be assured to see something special one way or another, going forward I'm glad I moved all in for The Masters, and I'm sure I'll be back.